Cream together the butter and sugars in a mixer. Add the egg and vanilla, making sure to scrape down the sides of the mixing bowl. Add the flour, salt, baking soda and baking powder and mix on low until everything is incorporated. Fold in the chocolate chips. Set dough aside. 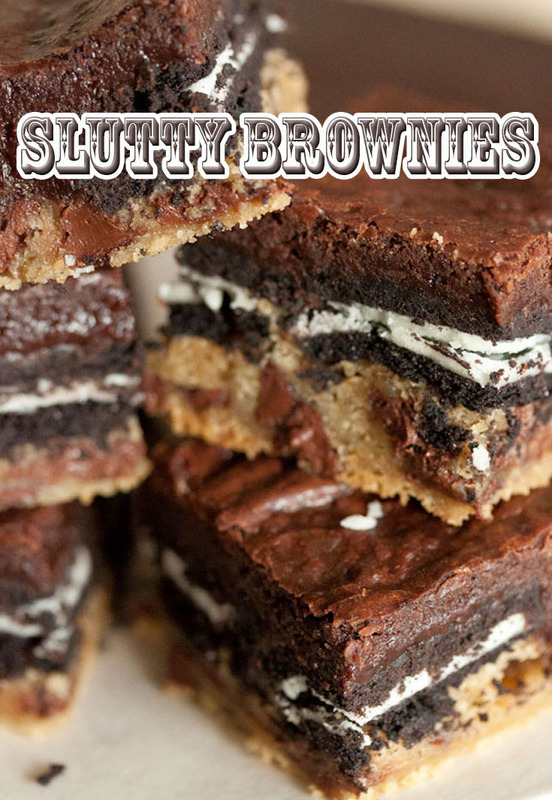 Layer the cookie dough on the bottom of a 9x9 baking pan, pressing down to form the bottom of the slutty brownies. Bake for 30-40 minutes. Test with a knife to see if the center is done. If the knife comes out clean, let the brownies rest for at least 2 hours before serving. If the knife comes out with batter still on it, allow the brownies to bake about 5 minutes more. Slice and serve.